Turing chief executive Martin Shkreli has been arrested on a charge of securities fraud relating to a company he founded, Bloomberg reports. Prosecutors are examining whether the pharma executive illegally took stock during his time at his previous company Retrophin, which he founded in 2011, and used it to pay off personal business debts to hedge fund investors. Shkreli served as chief executive of Retrophin before being ousted from the company and sued by the board in August. The charges relate to Shkreli’s now-defunct hedge fund, MSMB Capital Management. He is alleged to have engineered transactions between MSMB investors and biotech firm Retrophin, following a trade with Merrill Lynch which cost the hedge fund more than $7 million. Retrophin said the 32-year-old Turing executive paid off as many as 10 investors through fake consulting arrangements and unauthorised appropriations of cash and stock. 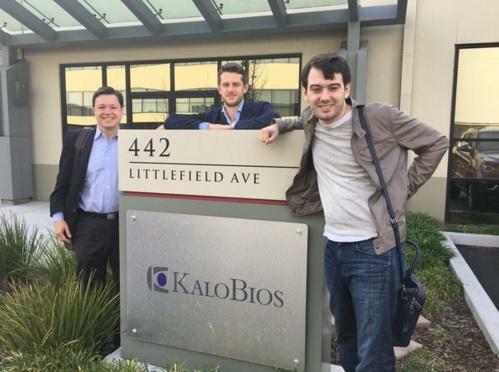 Albanian-born Shkreli has hit the headlines numerous times in 2015, beginning with his company's 5000% price-hike on the price of the anti-parasitic treatment Daraprim after Turing acquired the drug earlier this year. More recently, he was revealed as the $2 million buyer of the only available copy of a new Wu-Tang Clan album, Once Upon a Time in Shaolin. The hip-hop group’s founder, RZA, has since said they were not aware of Shkreli’s business dealings when they made the deal. Last month, he became chief executive of another pharmaceutical start-up, taking a controlling 70% stake in KaloBios, now the owner of a treatment for another parasitic treatment, benznidazole. The company has since announced plans to substantially raise the price of this drug. While it currently costs around $100 for a month’s supply, KaloBios reportedly intends to increase this to a price structure reflective of those in place in the US for hepatitis C drugs, which can reach as much as $100,000 for a three-month supply. On Thursday Shkreli pleaded not gulity to securities fraud at an arraignment in New York city, and was released from custody after posting a $5 million bail bond.